Dubrovnik is overloaded in the summer months. It is not a large city and the beautiful little Old Town gets seriously busy. So here’s an idea – take a trip there in the winter. As long as you’re not desperate for a sun tan, there’s a lot to recommend it. For one thing, the place is quiet and it’s very easy to stroll around, see what you want to see and take photos without feeling hemmed in. For another, the hotels are virtually empty at this time of year and often offer discounts. Lastly, the temperatures are usually pretty mild and even in December, it’s common enough to have double figures. You’re not going to get baked, but you’re highly unlikely to freeze, either. 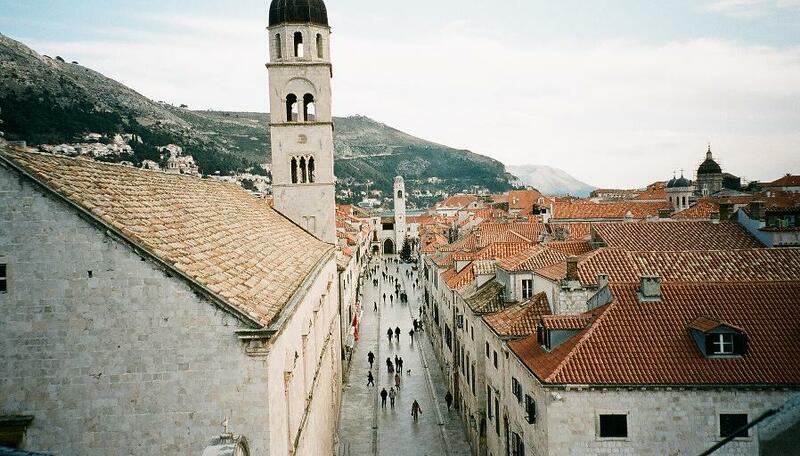 Strolling around is the perfect pastime for Dubrovnik. Staying out of town in one of the many hotels on the Lapad Peninsula west of the city is a good option. If you’re not out on the far reaches, it doesn’t take to long to wander into town, but either way, there are frequent and very cheap buses that will take you to the very edge of the Old Town. One thing you’ll want to do is take a walk around the walls of the city, something else that is a much more civilised experience when things are quiet. It provides some splendid views and provides you with some useful historical information on the way. One uncomfortable piece of modern history can be gleaned by looking at Dubrovnik’s roof tops: they are look remarkably similar. That’s because they were all repaired at the same time following the nine-month siege of the city between 1991 and 1992. 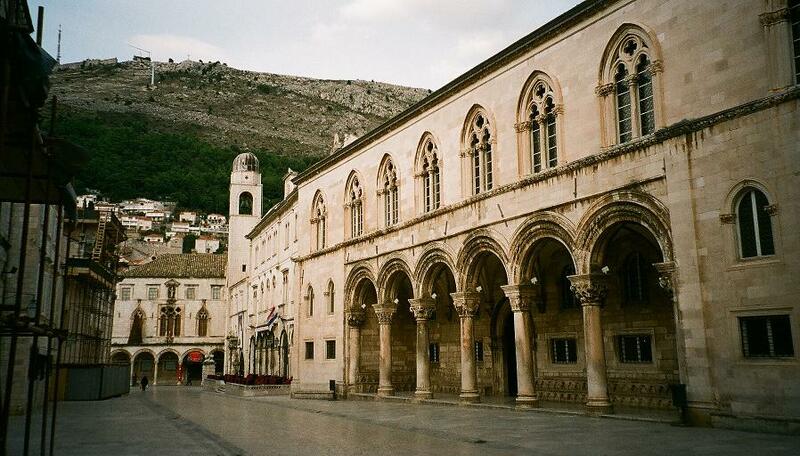 Dubrovnik doesn’t have any ‘wow’ museums, but there’s still plenty of interest to be found. The Maritime Museum reflects the history of the Republic of Ragusa, as Dubrovnik was known, and the feuds and battles with Venice across the Adriatic. One thing that British visitors might note as they look around the museum is the sheer number of the featured ships that were build in Britain; the museum almost serves as a monument to the British shipbuilding industry. A ticket to the Maritime Museum also allows access to other, smaller museums nearby. One is the pleasant little Ethnographic Museum on the site of the city’s former granary. The other is the Rector’s Palace, the residence of the Rector of Ragusa in medieval times. It doesn’t quite attain the grandeur of the Doges’ Palace in Venice, but the building is an interesting mix of Gothic, Baroque and Renaissance and has a Venetian look to it. It also houses a small and slightly ramshackle museum. While the Lapad Peninsula is well stocked with hotels, there are still plenty of open spaces and places to walk. It’s possible to walk around the peninsula, though you have to circumnavigate the odd hotel. Another good walk is up to Velika Petka, a hill thick with pine trees. The climb to the top is not too strenuous and offers a splendid view of the whole peninsula. Either of these walks offers decent opportunities for spotting birds. What you might spot is rather dependent on the season, but there is always something to see. During this particular visit, the number of human tourists may have been few, but the grey wagtail visitors were present in large numbers. It’s easy to forget that you’re in eastern Europe sometimes. Walking around in the middle of December with orange trees in full fruit makes you wonder for a moment if you’ve strayed into Morocco. The buildings, too, tell of a varied past, with a synagogue, a mosque and a Serbian Orthodox church all within a short distance of each other in the central area. There is also a plethora of churches, led by the lovely Baroque cathedral. When it comes to food, not surprisingly fish restaurants abound. There’s something for everyone, though. 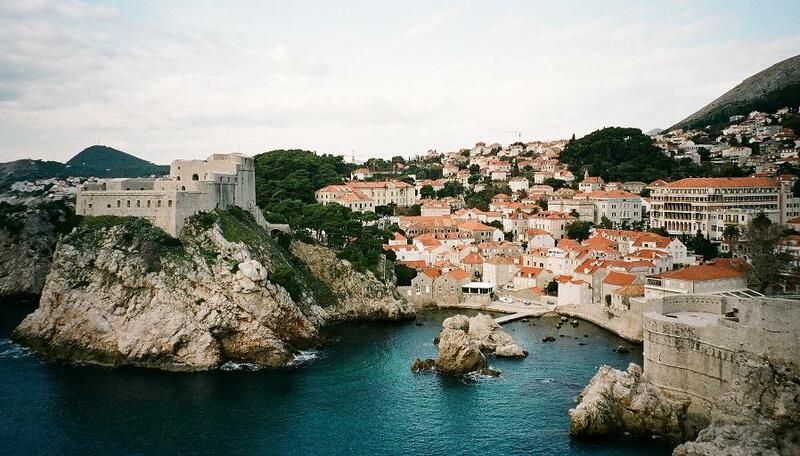 Dubrovnik gets masses of visitors and there are restaurants to cater for all tastes. Prices vary considerably and it’s understandable that it’s a bit pricey in the Old Town. Away from the centre, food and drink can be very cheap indeed. Croatian wine doesn’t get exported much, but there’s plenty of it and much of it is very good, as well as inexpensive. The same applies to beer and you’ll find a variety of brews and styles. Drinking local beer is always guaranteed to be cheaper, wherever you go, and it also seems a great deal more civilised. It always seems somewhat impolite to visit a country and drink stuff from other places. It’s pretty hard to avoid rakija (or variants thereof) anywhere in the Balkans and the Adriatic Coast is no exception. In fact, the area seems to have even more types of the stuff than just about anywhere else, with all of the Dalmatian islands having their own particular concoction. One drawback of visiting in the winter is that visiting the islands isn’t quite as easy as during the rest of the year. Croatia has more than a thousand on its Adriatic coast, so there’s no shortage of possibilities. The advantage in winter is, of course, that if you can arrange a boat trip, you won’t have to battle with the crowds of summer. Travellers to Dubrovnik should note that the city is not accessible by train. There is, though, an airport and the bus ride from there to the city is probably one of the most scenic you’re likely to find when it comes to travelling to or from an airport. Airport buses usually make their way past dismal industrial estates and retail parks. This one gives you the splendour of the Adriatic coast. 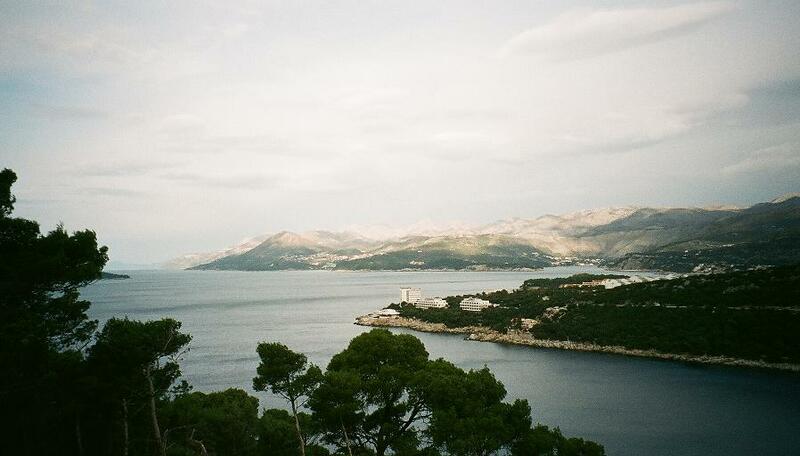 Our preference would be to avoid Dubrovnik in the summer, but – as with everything else – it comes down to personal choice. The winter offers a look at the city at its quietest, but not everyone wants peace and quiet. It is, though, quite a delight to take a photo of a completely empty square at three o’clock on a Saturday afternoon when you know for certain that it would have been jam-packed a few months earlier. This entry was tagged Balkans, Croatia, Dubrovnik. Bookmark the permalink.